Five monks wearing identical tiger hides around their waists and masks on their faces danced to the music of traditional Tibetan cymbals, drums, and trumpets at Taragaon Museum one afternoon this week. The audience was lucky to see the Chham dance, performed only in the inner sanctum of monasteries in Mustang by trained lamas. 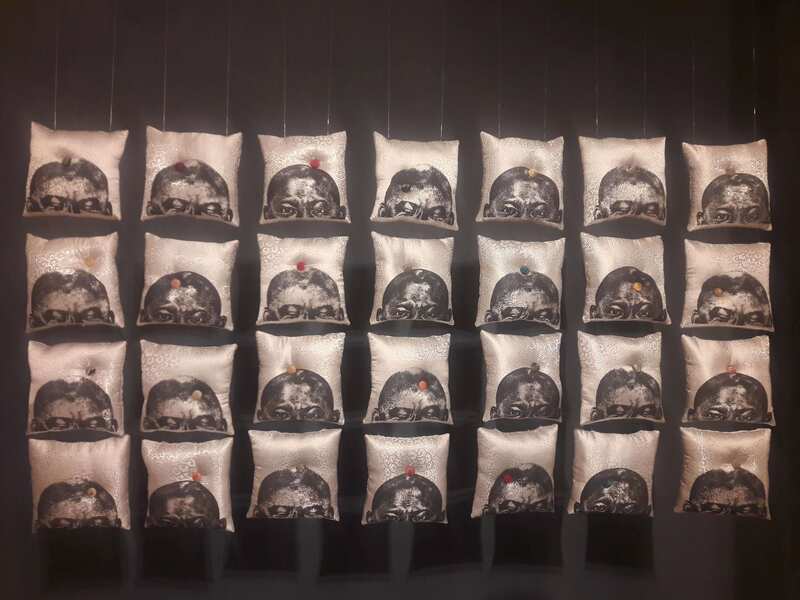 The occasion was the inauguration of Tsering Phonjo Gurung’s exhibit of paintings from Mustang. 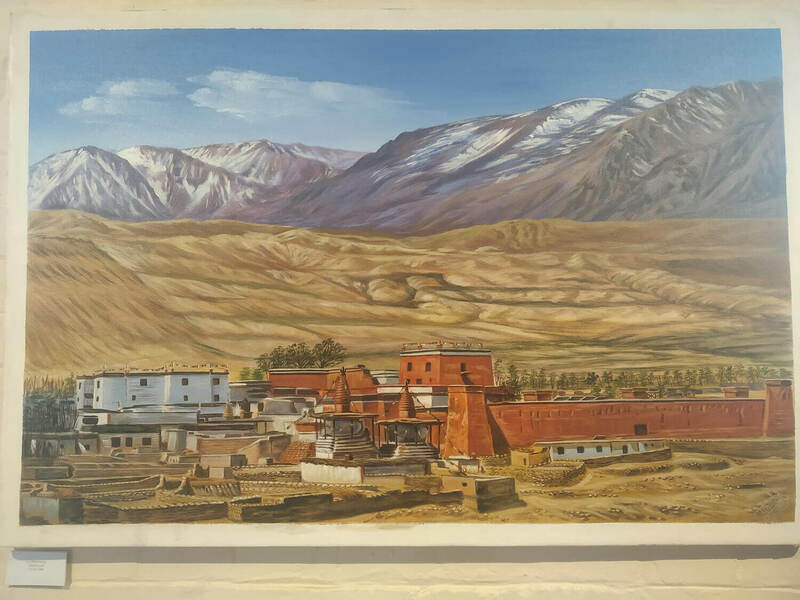 ‘Landscapes of Mustang’ featured oil paintings of this arid trans-Himalayan region of Nepal, the kingdom within a republic. 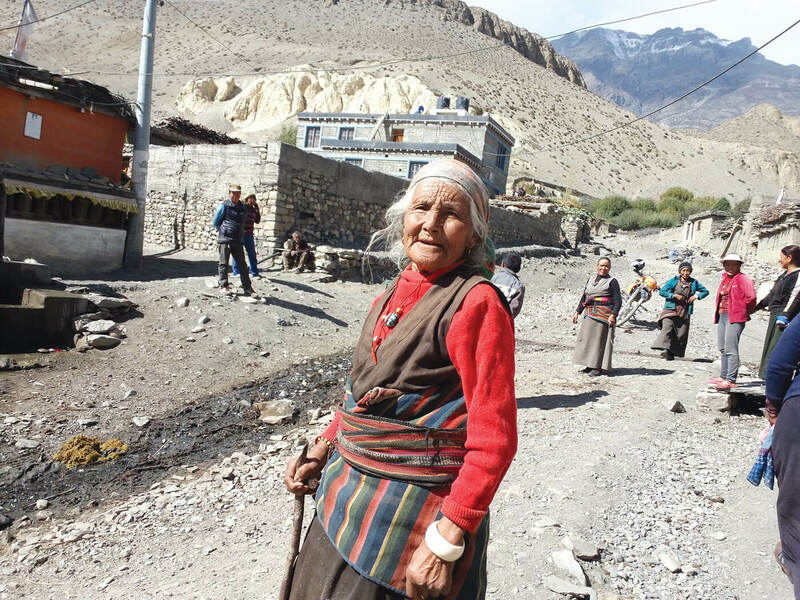 Like the Chham dance, the paintings brought the culture of Mustang to Kathmandu residents and are dominated by Mustang’s dramatic desert-like landscape, the yellowish sand evoking faded, hidden dreams. There are the chortens, little shrines in creamy white, covered in decorative drawings. There are the stone houses, rising out of the landscape as if they were a natural part of it and not man-made constructions. There is the royal palace of Lo Manthang in all its glory, covered in intricate artistic motifs. Many portraits of Mustang’s hardy people, resplendent in beautiful costumes. And always in the background is the region’s distinctively deep blue sky. Gurung paints these scenes with an intimacy that could only come from being born and raised in Mustang. Every stroke of his paintbrush brings the landscape to life. Gurung is from Chosar and has been interested in painting from a young age. He started training in thangkas at 16, and later explored landscapes. He brings the attention to detail and the rich colour schemes from his thangka training to his canvas. 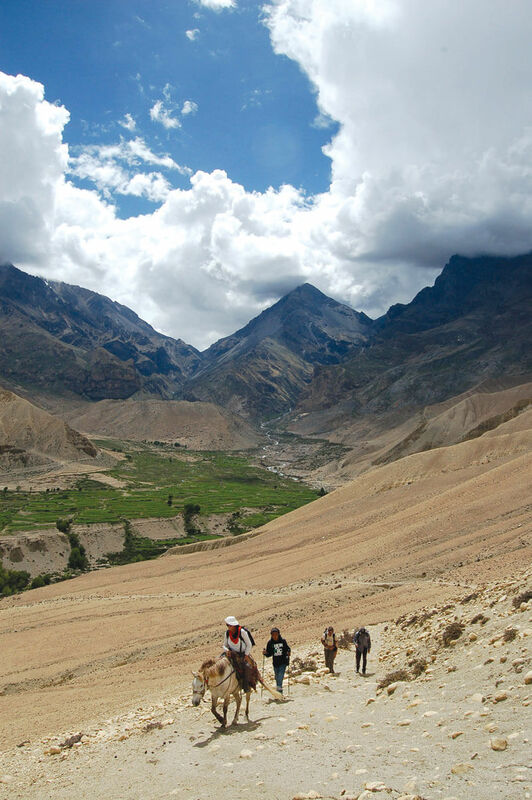 The ancient kingdom of Mustang was at the crossroads of Nepal, India, China, and Tibet. So it was at a cultural as well as a geo-strategic junction. But the culture is under threat due to the exodus of its youth to the cities and abroad.